Charles of Blois taken prisoner. 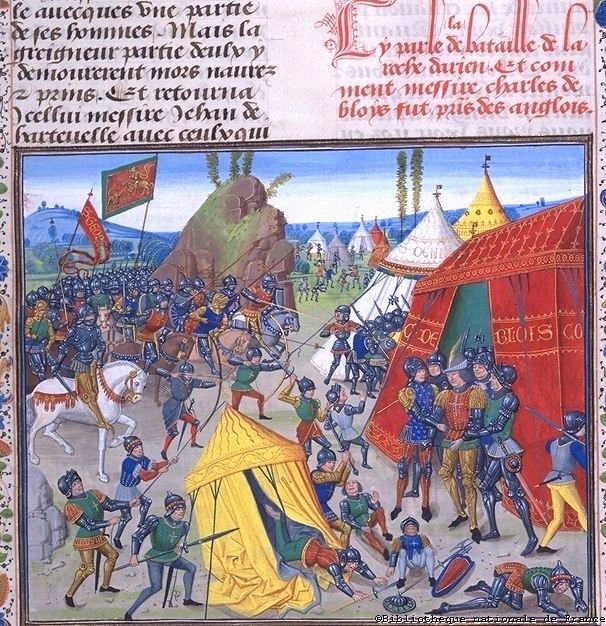 Charles of Blois, duke of Brittany, is taken prisoner at the Battle of La Roche-Derrien (1347). Downloaded from the Bibliotheque Nationale du France's on-line exhibit of manuscript illuminations, The Age of Charles V.